Looking for the best WordPress hosting service? Web hosting companies give huge affiliate payouts to people who refer their services. Why’s this important? You’ll rarely hear a bad word about poorly run companies on blogs. If a company threw you a $150 payout, you’d probably say nice things about the company too! So where should you look for honest reviews? Check Twitter (by searching company names), go to forums, or listen to me. I’ve tried all the hosting companies. Am I going to make a commission if you click through my link and buy hosting? Yup! But I’ll tell you the commission amount; then you can decide if you want to click through my link. Endurance International Group (EIG) is a giant company that buys small hosting companies. They took brilliant hosting companies like Bluehost, HostGator, and A Small Orange (my former favorite host) and ran them into the ground. (Other properties they own include: HostMonster, FatCow, iPage, HostNine, Justhost, and Site5. EIG’s philosophy is to give huge payouts to their affiliates, oversell server space, promote “unlimited bandwidth” and run at razor-thin profit margins. It’s a race to the bottom. Stay away from EIG companies at all costs! If your host gets acquired by EIG, which it probably will, drop it and find a new one. If you live in the U.S., you’ve probably seen a million GoDaddy commercials. But GoDaddy isn’t the way to go either. You’ll get reliable servers, but you’d better hope you don’t have technical issues because support tickets take up to 48 hours to get answered. There are dedicated WordPress hosting solutions like WP Engine, Flywheel, Synthesis, and Pagely. What’s special about these? Not much. They market themselves as WordPress hosts, but that’s not a unique service. You can easily host your WordPress site with any host. Dedicated WordPress hosts are reliable solutions, but you’re usually just paying extra for the fancy marketing. I reviewed web hosts in an ethical and honest way. I got frustrated maintaining my site because every time I’d praise a company, the company would get acquired by EIG. I told all of my friends to use A Small Orange (ASO). Then, once A Small Orange was purchased by EIG, it went downhill. It made me feel awful that I recommended ASO to everyone. I felt responsible for their issues. Just like all my favorite hosts, I sold out too. Now, I want back in the game. The four EIG hosting companies: HostGator, Bluehost, HostMonster, and Justhost are the same service; they just have individualized branding. I’ve tried all four recently, but I’ll review them as a group because they’re fundamentally identical. They provide the standard cPanel, making it easy to set up and control. 100% U.S. based customer service, which means 24/7, native-English customer support. Phone support wait times are short. They have a broad range of packages for any site. They use an outdated script installer to install WordPress. Not only are they missing some of my favorite scripts, they sometimes take minutes longer than other options like Softaculous. It’s something you can learn to deal with, but it’s annoying. The billing and support system interface, combined with the frustrating transition to get to cPanel, is exasperating. You have different passwords for each, and if you’re already logged into the cPanel, you have to re-login to get to chat support. Five years ago, before EIG bought them out, HostGator had the best customer support in the industry by a mile. Now it’s a different story. Supports tickets are usually answered intelligently, but sometimes you have to wait days to get a response. This is unacceptable. Chat support wait times can be brutal, and if your problem doesn’t fit into a defined category, support may not always do a good job of connecting you to the right person. I remember the impeccable servers HostGator and Bluehost used to have. Those don’t exist anymore. Server space has been drastically oversold, so performance has dropped in a big, BIG way. 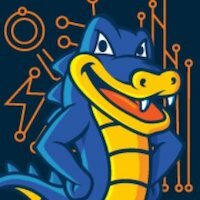 HostGator, HostMonster, Bluehost, and JustHost use the same servers (based in Provo, UT). Because this group of hosting companies own a huge part of the market, they are much more prone to hackers and attacks. Whenever a massive outage happens, all four companies suffer together. Unfortunately, these massive outages aren’t a rare occurrence. There have been five huge newsworthy ones over the last five years that left some sites down for DAYS! You’re going to be upsold like crazy — it gets annoying! There are ads for additional features inside the cPanel. You can’t even install WordPress without being upsold on a “professional installation” for $100. When you checkout, all of the extra garbage they try to sell you comes pre-checked. Assuming you want to host multiple domains, it’s about $100 for the first year of hosting and increases to $140 for the second year. This is an average price for shared hosting, but this service isn’t worth the price. I’ve only recently hopped on the bandwagon, but these guys have been around for 10 years (and they’re hosting over 250K domains). That kind of legacy builds confidence that they’re not a fly-by-night operation and they ARE NOT owned by EIG (yet). I’ve always hated when companies claim they have unlimited bandwidth because this isn’t true. Thankfully, SiteGround isn’t like that at all. On each of their shared hosting plans, they give you an estimate of how many visits the package is suitable for. This is great because a bandwidth figure in GBs can be an abstract number to most people. They have a brilliant integration of the billing and control panel, making it easy to check on what’s due and pay your invoices. SiteGround uses the standard cPanel with my favorite script installer, Softaculous. 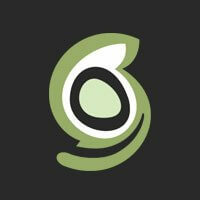 They have student hosting accounts for just $1.99/month for anyone with a .edu email address. They have shared hosting, cloud hosting, and dedicated servers – a great diversity of options for different needs. They also have specialty hosting environments made specifically for coding languages like node.js. Most people won’t need these, but it’s nice to know they’re there. The chat support is the best in the business. The typical wait time is only about two minutes. Once you get in the chat, you’ll get the rep’s full attention. It doesn’t feel like they’re helping out 10 other customers simultaneously (like so many other companies). The customer support is ridiculously friendly and helpful, some of the nicest people I’ve ever dealt with. They have a 24/7 customer service phone number for 12 different countries and don’t expect any wait times when you call. You can pick your server location (Chicago, Amsterdam, or Singapore). SiteGround refuses to oversell their server space. Overselling has become a massive, industry-wide problem that’s killed the service and performance of all the EIG companies. I’ve hosted Power Moves and Weak Moves on SiteGround for two years, and my site has been down for a total of about 10 minutes. That’s ridiculously efficient. They have start-up fees for new dedicated servers and other premium accounts. I hate the start-up fee business model for any business, whether it’s a gym membership or a hosting account. Do you want my money, or not? It costs $83.40. The service and quality justify the cost because this version of shared hosting is much stronger than that of other companies. BUT after one year, the price increases to $179.40 per year. A little pricey for shared hosting but still 100% worth it! Stay away from any of the EIG hosts. This includes: HostGator, Bluehost, HostMonster, Justhost, iPage, Fatcow, and A Small Orange. The price of these hosts may be appealing, but it’s not worth the headache, especially if your site makes money! In general, your best option is SiteGround. You’ll get amazing support, the ability to host multiple sites, and great servers, all at an affordable price! It feels good to get my hosting thoughts off my chest again.